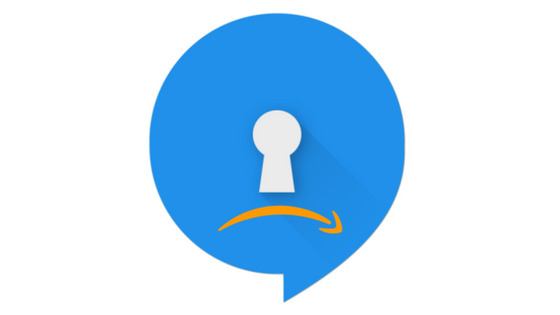 Amazon representatives don’t like how the secure messaging app Signal bypasses censorship by pretending to be one of Amazon’s sites. Signal is a popular encrypted and secure messaging app used mostly by privacy supporters and censored people around the world. It is free, open-source, and endorsed by the infamous whistleblower and privacy advocate Edward Snowden, Signal is definitely a reliable communication app for anyone who doesn’t fancy other people spying on their private conversations. According to cybersecurity experts who have reviewed the app’s open-source code, even government surveillance agencies can’t spy on your personal communications thanks to end-to-end encryption and other security features of the Signal app. As a result, millions of privacy-minded individuals and people from oppressed countries heavily rely on Signal for private communications. But unfortunately, it has become a regular thing for these controversial privacy apps to get hassled by the government or internet companies. Signal have stated that they have received an email from Amazon which threatens the messaging app with account closure if they don’t abide by their terms of service. Access to Signal has been restricted by multiple countries in the last 3 years, but every time the messaging app has refused to give up to these unfair restrictions. Through using an anti-censorship technique such as ”domain fronting” — Signal was able to bypass these internet censorship attempts to enable their users to access the messaging app. Domain fronting is a common web technique for getting around internet censorship, which allows users to connect to a service while looking as though you’re connecting from another website. But of course, no website wants to be the cover for a censored website or app, which is why Google and now Amazon have decided to officially start blocking websites who use their domain names using ”domain fronting” to bypass internet censorship. Amazon Web Services (AWS) have previously announced that they would start working on developing enhanced domain protection features for their customers as a protection from domain-fronting attempts. As a result, most censored sites and apps such as Signal will struggle to bypass internet censorship due to Google and Amazon’s ban on domain-fronting. Considering that Google and Amazon are two of the biggest cloud storage providers on the web which Signal was relying on for bypassing internet censorship, domain-fronting is out of the question as an anti-censorship technique according to Signal. ”With Google Cloud and AWS out of the picture, it seems that domain fronting as a censorship circumvention technique is now largely non-viable in the countries where Signal had enabled this feature.” says Signal in a blog statement. For now, online censorship by oppressive governments and internet companies have won the censorship game once again.